Electrical condition reports. Electrical systems should be tested periodically in accordance with the requirements of the IET wiring regulations. Visual Electrical Inspections. During annual maintenance we can visually inspect the equipment and recommend any maintenance requirements. 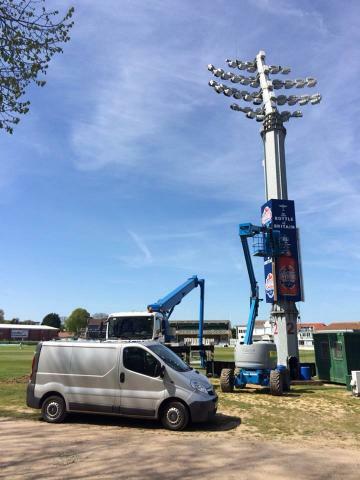 Floodlighting Maintenance. Interflex can ensure that you get maximum output from your system by removing the dirt and debris from the floodlight body and glass. Mechanical inspections. It is vital to ensure that your users are safe. In order to do this Interflex will inspect the structural components of the masts to ensure they are serviceable. To get a quote for maintenance or any of the services listed above please contact our maintenance team. 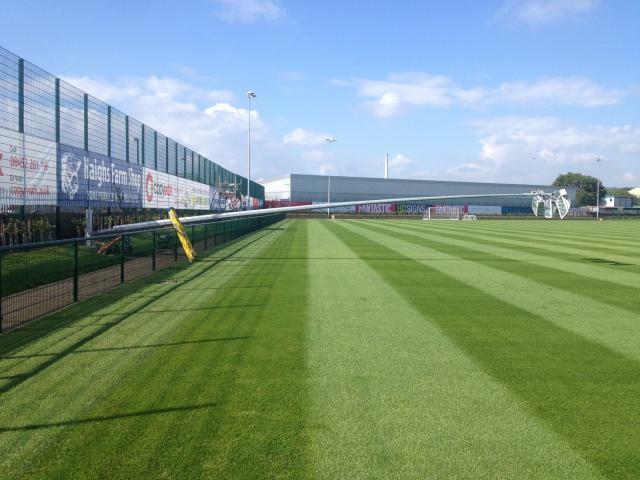 "Interflex have cleaned and maintained our lighting with great results. I would recomend their services"
The Electricity at Work Regulations 1989, Regulation 4, section 2. Requires that "As may be necessary to prevent danger, all systems shall be maintained so as to prevent, so far as is reasonably practicable, such danger." It is accepted that in order for a system operator to demonstrate compliance with the above law, testing and inspection should be carried out in accordance with BS7671 (The wiring regulations). Once this is done a certificate is issued which can be kept as a record of the inspection. Typical 15mtr Sports Lighting Column. This installation was estimated to be 10 years old and a degree of rust had built up on the surface of the column. Our recommendation to the client was to have the columns inspected for mechanical soundness and then have a coat of paint applied to extend the life of the column. A typical galvanised steel pitchside cabinet. A visual inspection of the internal electrical equipment was carried out on this installation and a recommendation that the grass was removed from around the external area. Shown below are typical installations and the recommended maintenance actions taken by Interflex.